On this day in 1966 Bobby Charlton scored arguably the best remembered of his 49 England goals – his long-range screamer against Mexico in the 1966 World Cup. After all the build-up and preparation, England had endured a frustrating start to the 1966 World Cup when they drew 0-0 with Uruguay in the opening match. Alf Ramsey’s proclamation that England would win the World Cup on home soil was under scrutiny, after they failed to turn in either an impressive performance or result. Five days later there appeared to be more of the same in store at Wembley as Mexico stoutly defended and were stifling England’s attacking ambitions. But after 38 minutes came the moment when England made the breakthrough and it came in style. Collecting the ball just inside his own half, Charlton was given space to keep running while controlling the ball with his left foot. He then cut inside slightly onto his right foot and unleashed an unstoppable drive that flew beautifully into the net, as goalkeeper Ignacio Calderon lay dejected on the floor having been well beaten by the shot. It was a goal of beauty and of high value, as England’s World Cup campaign at last took off. It was a moment similar to David Platt’s winner against Belgium in 1990 or Paul Gascoigne’s effort against Scotland in Euro ’96, in that a goal of quality was needed to spark England’s campaign into life. Watching Charlton’s goal from the other end, England goalkeeper Gordon Banks said “the ball seemed to climb like a jet plane taking off”. Banks believed “no goalkeeper could have stopped it” and it’s hard to argue against that view, such was the power of the strike. A goal from Roger Hunt sealed a 2-0 win, with England then getting into their stride and emerging as competition victors. Charlton would again be the hero with his double strike against Portugal in the semi-final. As this compilation shows, Charlton could be relied upon to pull something out of the bag for England with plenty of other strikes coming from distance. But no other goal for his country would be as remembered as the one he struck on July 16, 1966. 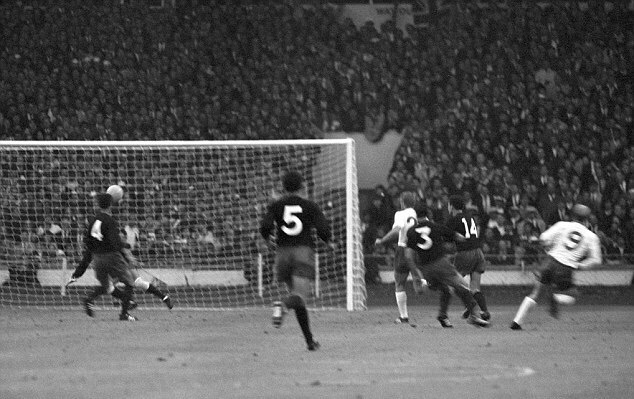 Bobby Charlton’s awesome shot was the spark that lit England’s campaign. Up until that moment, Ramsey’s side had looked stodgy, timid, lacking in ideas. A miserable early exit appeared a real possibility. But suddenly, thanks to a stroke of genius, England were on course – and they were never to look back. It was probably the most memorable goal of Bobby’s career, not only for the sheer breathtaking quality of his shot, but also for its context.